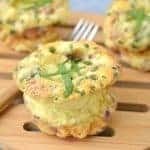 Keto Lobster Cakes- Holiday Appetizer, Snack, Lunch or Dinner! 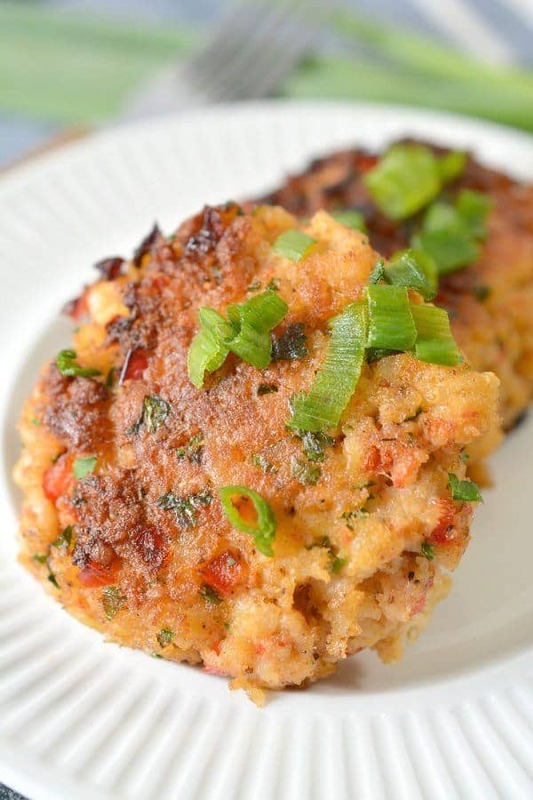 For all you seafood fans out there – you MUST try these keto lobster cakes! They are hands down the best keto recipe as far as seafood goes. They are so savory, flakey, and delicious. 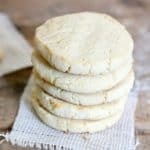 This is one of my absolute favorite keto friendly recipes! It’s PERFECT for parties, entertaining, and especially the holidays! 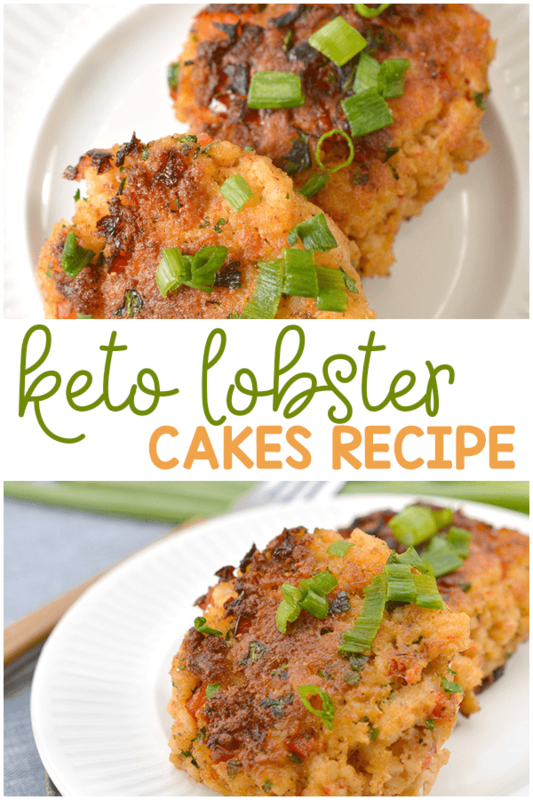 Just scroll down below to make some of your very own keto lobster cakes! 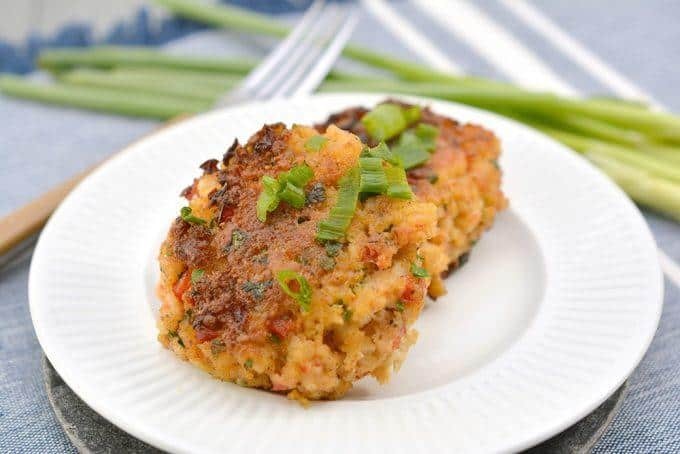 What I really love about these keto lobster cakes is how freaking easy these are!! While you want to follow the full recipe for this keto friendly recipe, it’s as simple as mixing ingredients, forming them into patties, and frying them. 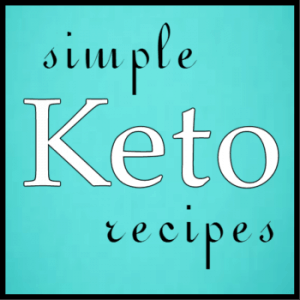 That’s what makes this one of the best keto recipes! 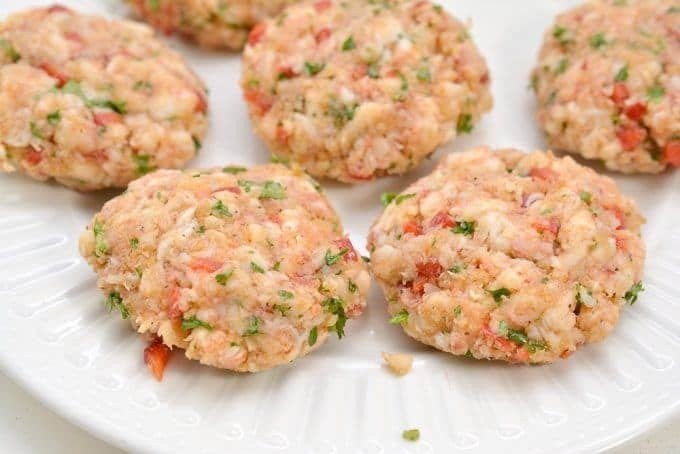 Take these to a party and I GUARANTEE everyone will eat these keto lobster cakes right up – even if they aren’t keto. 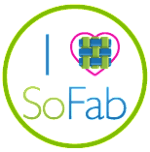 They’re sooooooo good! It’s the best keto recipe when it comes to seafood, but may also be the best seafood recipe too. If you need a good keto friendly recipe for an upcoming party, this is the perfect dish. 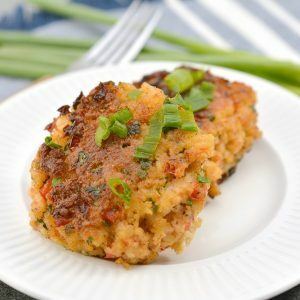 Even if you’re not looking to impress anyone… these keto lobster cakes are a perfect keto dinner recipe. Just add to your favorite keto-friendly sauce and you’re good to go! 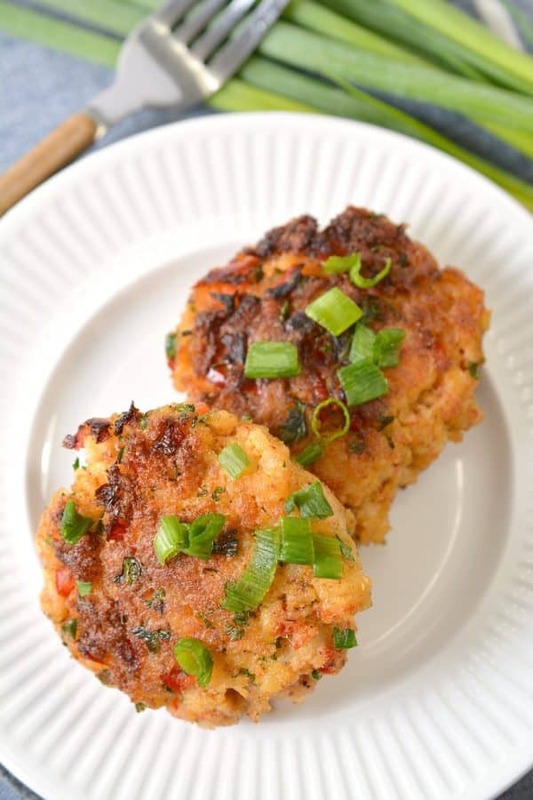 Scroll down below for the full recipe for these keto lobster cakes. First – gather all your ingredients – it makes this soooo much easier! 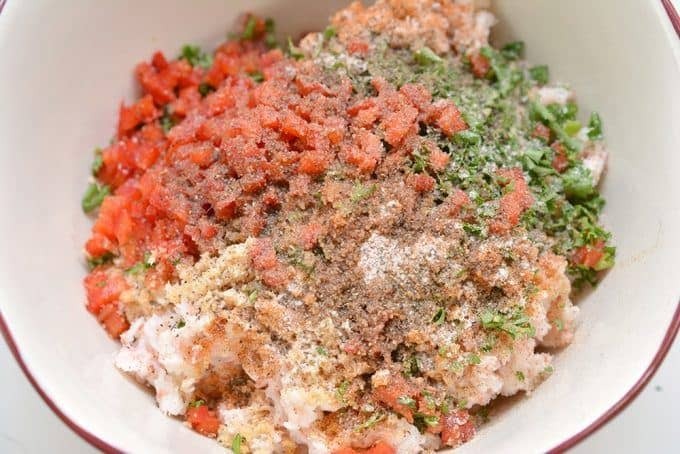 In a mixing bowl, add the lobster meat and egg; mix well. Add in 1/2 cup of crushed pork rind crumbs. Reserve the remaining in case the mixture is too wet. Mix in red bell pepper, parsley, scallion, old baby seasoning, lemon juice, Worcestershire sauce. Mix the ingredients with your hands until well incorporated. Form the mixture into 5 small patties. If the mixture is too wet, add the remaining crushed pork rind crumbs. Heat the olive oil and butter in a skillet on medium-high heat. 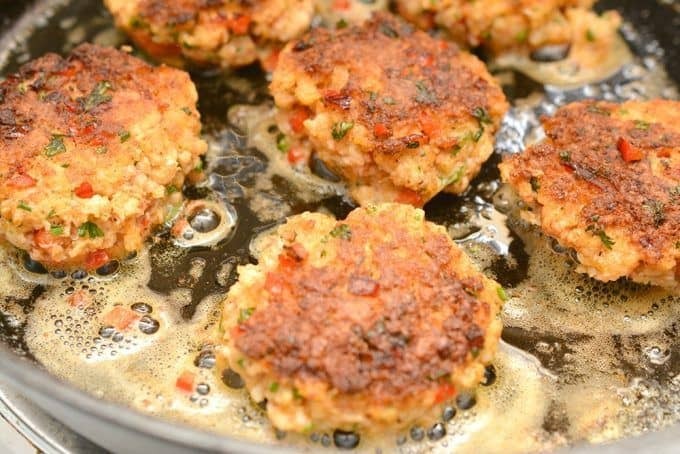 Add the lobster cake patties and cook for 3 minutes on each side, until browned and crispy. 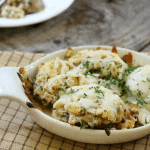 Serve with chopped herbs or keto-friendly sauce and enjoy! 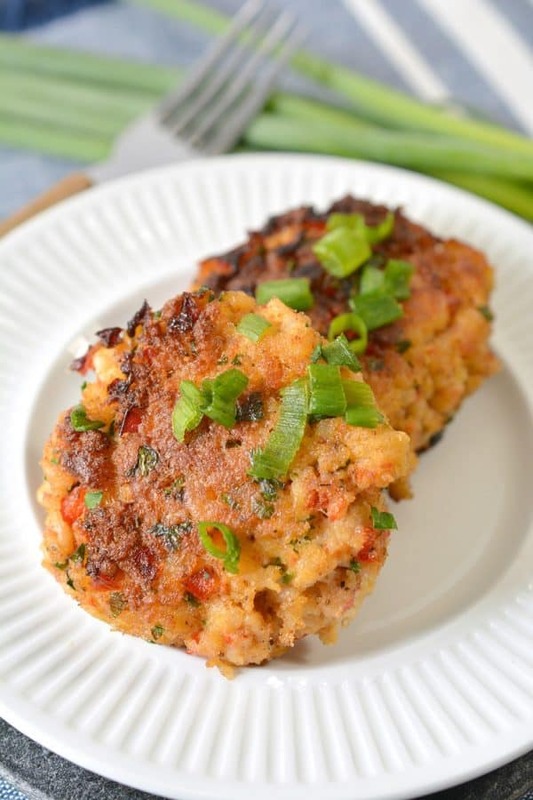 For all you seafood fans out there - you MUST try these keto lobster cakes! 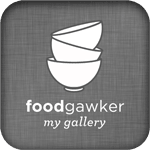 They are so savory, flakey, and delicious. 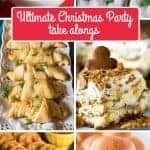 It's PERFECT for parties, entertaining, and especially the holidays! In a mixing bowl, add the lobster meat and egg; mix well. Add in 1/2 cup of crushed pork rind crumbs. Reserve the remaining in case the mixture is too wet. Mix in red bell pepper, parsley, scallion, old baby seasoning, lemon juice, Worcestershire sauce. Mix the ingredients with your hands until well incorporated.